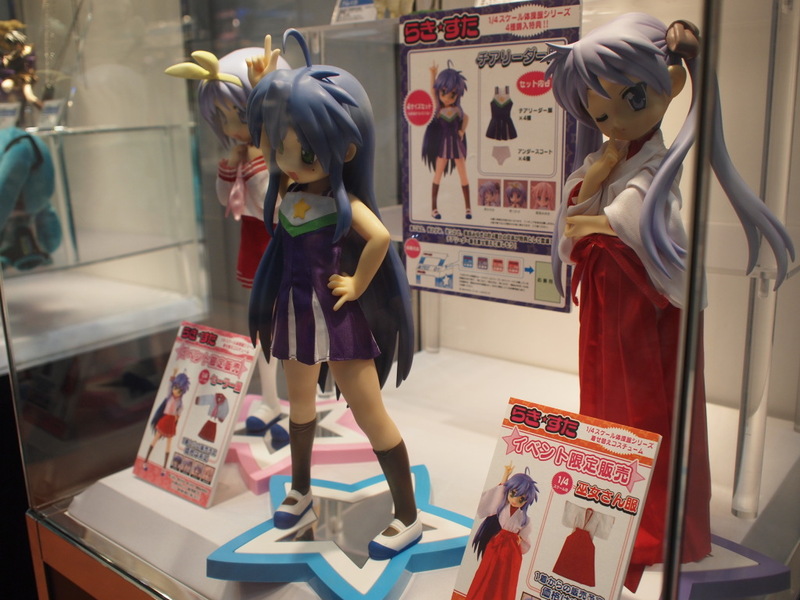 Hey, look at this ^^ At the ongoing Chara Hobby 2009 event, FREEing displayed new, alternative outfits for their 1/4 scale Lucky Star figures. 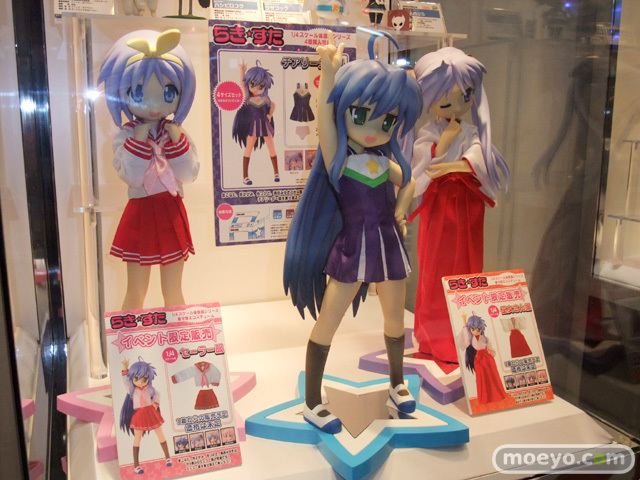 Konata was released last month and Kagami will be out in a few days. By default, all the figures come with gym uniforms but it looks like we’ll have the option to pick up cheerleader, miko, and winter serafuku outfits as well! So awesome! It now makes perfect sense why they designed the figures to be (mostly safe) cast-offable ^^ Buy the figure once and you’ll have the ability to dress it in multiple sets of clothing :) It seems the cheerleader outfit will be the first one released. Now we just need some details on pricing and release dates. On a side note, is it okay if I put you in the blogroll of my blog? .-= Pasukaru´s last blog ..I choose you, Giratina! =-. I’m a bit skeptical about Kagami’s appearance too but will wait until I have for full judgment. Oh, this does make the Freeing “Lucky Star” figures much more attractive and versatile. In fact makes them a nice (and cheaper) alternative for say a Dollfie ball jointed doll mimicked to resemble a “Lucky Star” character. .-= Smithy´s last blog ..Azusa nendoroid prototype revealed =-. Thats actually a pretty badass idea. Yeah, it’s great idea. The 1/4 scale are so big it only makes sense ^^.